With the impending launch of Windows 10, and with it the release of a new web browser codenamed Project Spartan, Microsoft has officially relegated Internet Explorer 11 to a "legacy engine" that won't be upgraded at any point. Microsoft said there was some confusion among developers and users as to what the difference is between Project Spartan and Internet Explorer 11, and why both browsers will be included in Windows 10. The company clarified the situation, saying that Internet Explorer 11 will be included as a legacy browser that functions exactly as it does in Windows 8.1 and Windows 7, exclusively housing the legacy engine. Meanwhile, Project Spartan is the future for Microsoft: it will be the default browser for all Windows 10 users, come with a brand new rendering engine, and be the only browser to receive updates. Internet Explorer 11 is purely included in Windows 10 as "an effective solution for legacy scenarios and enterprise customers". If IE11 used the new rendering engine from Project Spartan, it would no longer function as it did in the past, and would have compatibility issues that compromise this legacy solution. It's not clear if some editions of Windows 10 will even come with Internet Explorer 11, as Microsoft has only stated that the browser will continue to be available "for enterprises and other customers who require legacy browser support." But the message is certainly clear: for the vast majority of users, Project Spartan is the better way to browse the web in Windows 10. The new web browser will feature a streamlined interface, include support for Cortana, come with a Reading List for saving articles for offline reading, and more. It is ironic that many enterprise users do not even use IE11! 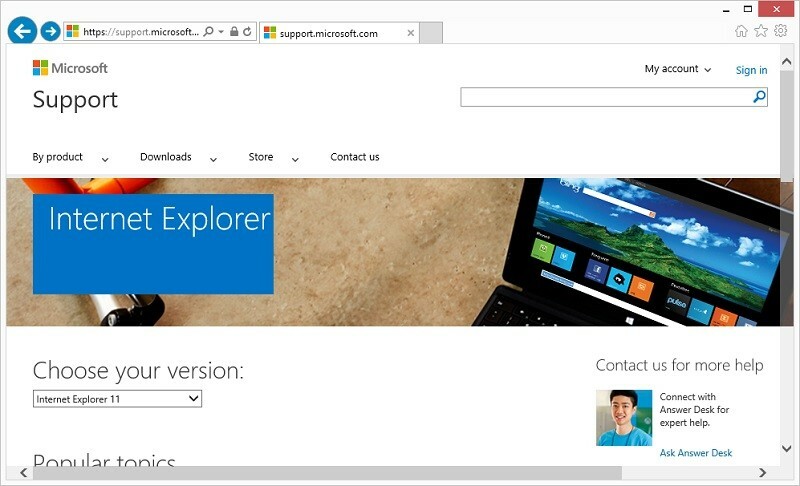 IE11: the new IE6. I truly hope for Microsoft's sake that project spartan keeps up with the competition.